Great Healthcare Means Nothing to Political Prisoners. Another Micheal Moore Joke. 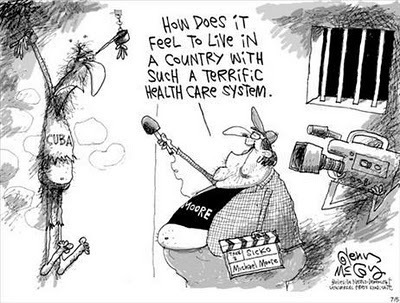 Cuba may have good healthcare, but does that mean anything if it doesn't have many freedoms?. Wallpaper and background images in the U.S. Republican Party club tagged: politics cuba micheal moore conservative.